What Is The PRP Facelift and How Does It Work? The PRP FaceLift® Procedure™ begins by drawing blood from your arm. She then spins the blood to separate out the plasma. Blood plasma contains platelets, which are proteins and growth factors that stimulate collagen production, among other bodily functions. Collagen, in turn, is the protein that makes our skin look and feel supple, elastic and youthful. During a PRP FaceLift®, the PRP is injected back into your face in a precise and defined manner along with a dermal filler such as Juvederm. These injections can reduce fine lines and wrinkles and help brighten gaunt or aged looking skin. They may also help refresh and add volume to certain areas of the face, such as the under-eye hollows. These injections likely hurt less than a vampire’s bite, as Dr. Adler will use a topical anesthetic prior to drawing blood from your arm, and re-injecting the PRP. The procedure takes about 30 minutes from start to finish. The age-defying effects of PRP injections may last 15 to 18 months. Some people may see visible improvements immediately, but full results take about three weeks. 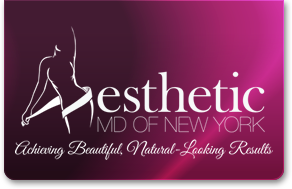 The PRP FaceLift® costs between $1,500 and $2,500. The PRP FaceLift® uses a soft tissue filler such as Juvederm to add volume to the face, followed by PRP to fill out under-eye hollows and other thin-skinned areas. Make sure you ask your surgeon what his PRP treatment involves before booking your procedure.